Angie Schalch and Melissa Mitchell are employees of Community Action in Carlisle. 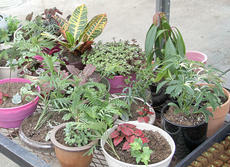 Action is exactly what Schalch had in mind when she saw a need among the clients she serves. “People need jobs and there aren’t many jobs in our area,” Schalch explained. “But there is always a need for nurse aides.” An idea was born. Schalch is the manager and Mitchell is a family development specialist at Community Action. Together they started to piece together a way to make their dream a reality for the people in their community. THURSDAY: Breakfast slider or cereal or Pop-tart, fruit, fruit, choice of milk or juice. FRIDAY: French toast or cereal or Pop-tart, fruit, fruit, choice of milk or juice. • Maysville Campus, Saturday, May 5, 10:30 a.m., Mason County High School Fieldhouse. • Rowan/Montgomery Campuses, Tuesday, May 8, 6:30 p.m., Montgomery County High School Arena. TUESDAY: Pop-tart or cereal, fruit, choice of milk or juice. THURSDAY: Donut or cereal or Pop-tart, fruit, fruit, choice of milk or juice. FRIDAY: French toast sticks or cereal or Pop-tart, fruit, fruit, choice of milk or juice. 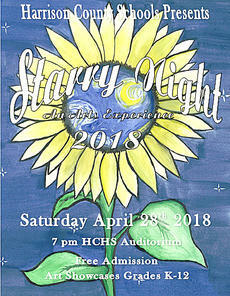 The Harrison County School District will host the 2018 version of Starry Night...An Arts Experience, on Saturday, April 28. The program, featuring visual and performing arts exhibitions from children in grades K-12, will begin at 7 p.m. and will take place in the Harrison County High School auditorium. There is no admission charge for the exhibition. 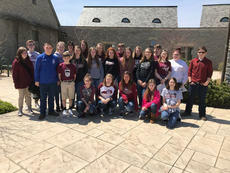 The Harrison County High School greenhouse, sponsored and managed by the local FFA chapter, will be open for business on Saturday, April 14, from 9 a.m. until 2 p.m.
TUESDAY: Dunkin stick or cereal or Pop-tart, fruit, choice of milk or juice. FRIDAY: Cini minnis or cereal or Pop-tart, fruit, fruit, choice of milk or juice.